As the orignal color of my jeep as per the RC book is Red, I make up my mind to restore the original color. 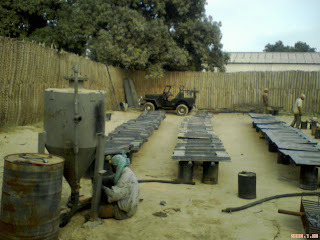 The project body work started here with Sand blasting. 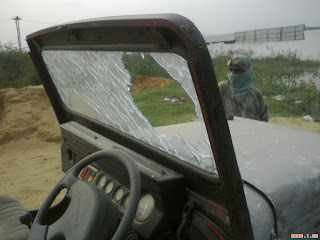 Opps, Lately I learned a lesson after loosing my windshield glass. Before blasting the jeep one should remove all the glass items. He he he ... Though my baby is un attended condition for 4 years, He is quite alive and started his exploration immediately after bath and haircut. Little bit of mechanical work to service the Jeep. New battery, Oil service and Water service with some minor work made him up on the road. Got to go for a new life, He is in the hands of Siva(Proud owner of the orphan baby). I have named him at the first look as Explorer. 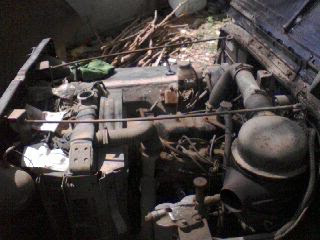 Water cooled, centrifugal pump type, thermostat controlled. Single Dry plate, heavy duty, Outside dia .235mm. 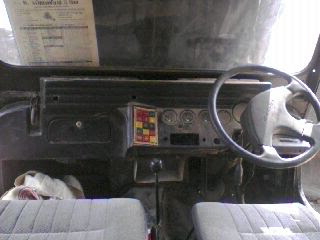 Type 2 speed, single lever located on Floor. Ratio :High 1:1, Low 2.46:1. Capacity : 907 kg. Axle Roatio 4.88:1. Semi floating Capacity 1134kg.Axle Roatrio 4.88:1. Ball Type. 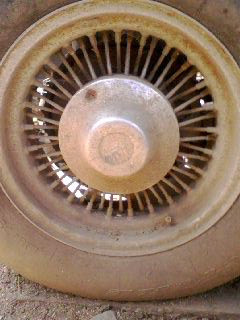 Ratio 20:1 3 Spoke steering wheel. Semi elliptical leaf,tension side of leaf shot - peened (under slung). 215 / 75 R 15 Radial. 12 Volt Battery/70 Amp.Hr.Alternator 65 Amps. 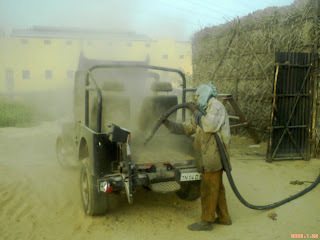 With vaccum pump. Speedometer (kms./hr), Temperature and fuel gauge ,oil pressuren guage, Voltmeter, light indicators for battery charging, oil pressur, high beam and temperature,parking brake, hazzard & brake fluid level warning indicator, 4 WD high & low indicator . Capacity 40 litres with electrical fuel gauge. Here is my dream come true! 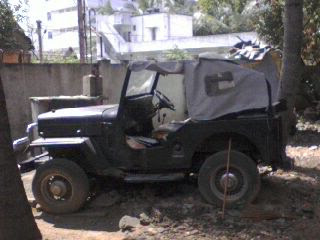 Now I own a Mahindra Classic alias CL340 DP 4WD. 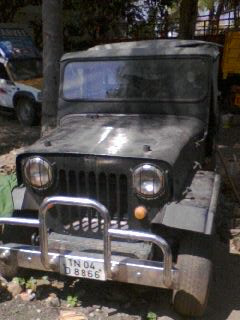 One of the precious and ever wanted JEEP from Mahindra & Mahindra. 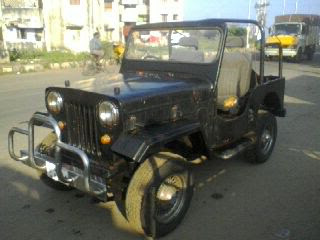 This Jeep is made upon Willys CJ3B platform with some latest addons. Though the Classic's production started during 1996, M&M got to stop the Classic line of production with in a shortwhile on 2000. Hence very few of these Gems are available on the road on the market. 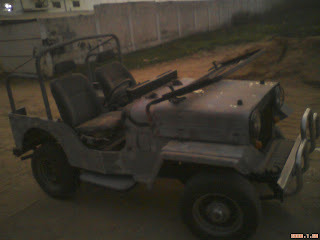 Hence getting this jeep is a real challenge for many. 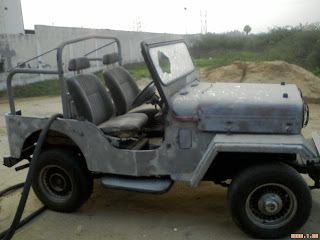 I was searching for this jeep for more than 4 years and found one in a wreck condition. 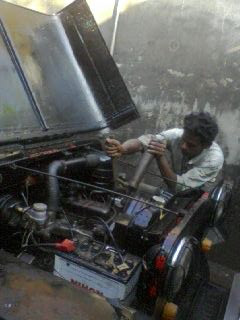 This whole blog is our restoration of my Mahindra classic Jeep.